Samsung today introduced the world's first 8GB LPDDR4 DRAM package, a memory chip with twice the capacity and twice the speed of typical DRAM used in PCs. The new LPDDR4 (low power, double data rate 4) DRAM uses new 10-nanometer-class process technology, which gives it twice the capacity of previous 20-nanometer (nm) process chips. The DRAM package is 15mm x 15mm x 1.0mm in size. Samsung now plans to expand its use of 10nm process technology across its fabrication plants. While many high-end, ultra-slim notebook PCs currently use 8GB of DRAM, Samsung's new 8GB LPDDR4 package will help other next-generation mobile devices take full advantage of its extremely high capacity. The new 8GB DRAM package was tested to operate at up to 4,266Mbps, which is twice as fast as previous DDR4 memories and will enable "virtual machine operation and smoother 4K UHD video playback, popular features of many premium PCs," Samsung stated in a news release. "Assuming a 64-bit wide memory bus, this can be viewed as transmitting over 34GBs of data per second," Samsung added. 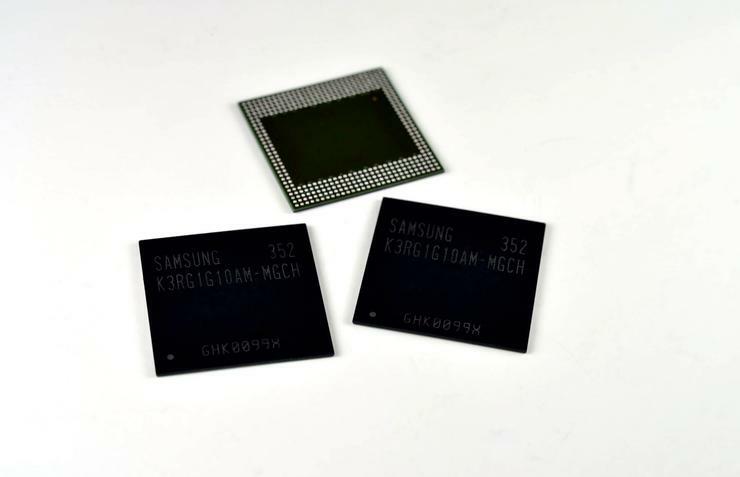 The 8GB mobile DRAM package was created from four of Samsung's latest 16 gigabit (Gb) LPDDR4 memory chips. In August last year, Samsung introduced the first 20nm, 12Gb LPDDR4 DRAM. After only a 14-month development period, Samsung is now introducing the first 10nm-class 16Gb LPDDR4 DRAM and this single-package solution of 8GB LPDDR4 DRAM, which will speed up the launch of next-generation mobile devices with even more advanced performance.